How does the media market react to institutional changes? This study investigates how media owners react to democratization, and in particular, estimates the extent to which their reaction is driven by a search of political influence. As democratization increase, the importance of what citizens – voters – think, and the ability to affect their political behaviour, also becomes increasingly important for political actors. One important avenue they may use to influence public opinion is through the media. As a result, one may expect an increase in the supply of news media in response to democratization. To test this theory, we turn to the Indian newspaper market. 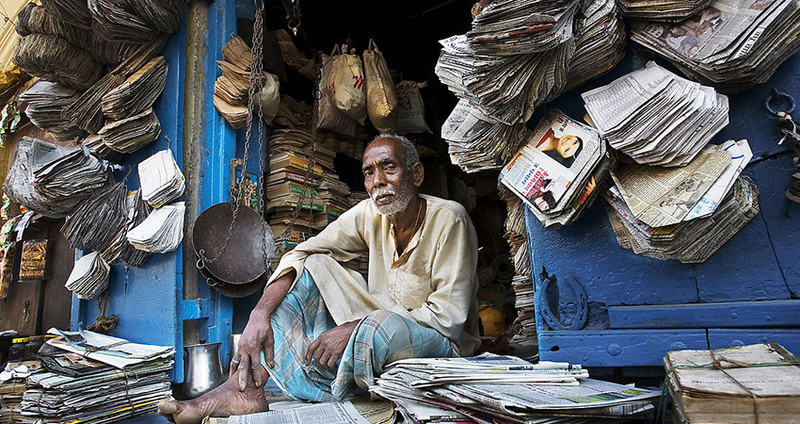 We create a novel database on Indian newspaper ownership, content and circulation at the year-city-newspaper level, using administrative and advertising data. To causally identify the role of democratization on media supply, we analyse an exogenous change in the electoral importance of cities across India. In the early 2000s, the Indian constituencies were redrawn, after having remained untouched for more than 30 years. This led to corrections of malapportionment. We use this exogenous shock to the political influence of the population in different cities to identify the extent to which media owners enter (or exit) the market of more (or less) important cities to increase (or decrease0 the number of newspapers they publish in these cities. The project aims to shed light on the interaction of a formal institutional change (democratization) with the development of private markets. More specifically it studies how institutional change, via its alteration of the channels of influence over the people holding power, may transform the media market. Economic research on media and political institutions has developed three main branches: media as a determinant of political participation and a tool for government accountability; media slant and media capture; and media’s influence on preferences. This literature suffers from two major omissions that this project seeks to fill. First, it largely focuses on developed countries, which raises the issue of the generalization of findings to other contexts in which the institutional setting may be very different. Second, the existing literature has primarily taken the supply of media for granted and focused on the causal effect of this supply. We, on the other hand, will analyse the determinants of the supply of news media in developing countries, and in particular how this supply may be affected by an institutional change, i.e. democratization.